I’ve read a few books from Jennifer Weiner, but this was one of my favorites. The ratings and reviews are varied, but it was a read that I really enjoyed. With the constant increase of opiate and pain pill use, I thought this was a well-written and thought-provoking read. The main character, Allison was hard to like at times (as most addicts can be) but I thought her story was an important one. I think the author told a very good story that dealt with many important issues. Thanks for posting this one Deanna. 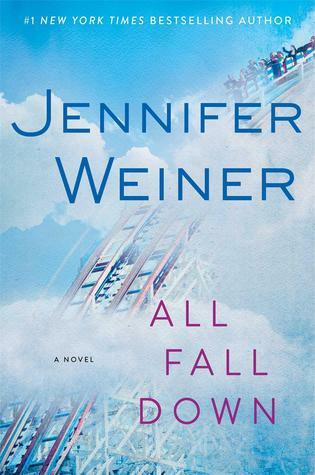 I’ve never read a book by Jennifer Weiner, but I would read this book because with all of the t.v. shows out there about addiction, I’m curious about how it affects peoples’ lives, even if it is a fictitious story. I’m sure the author researched the topic. I liked it too, but it wasn’t my favorite by the author. It sure sounds like a very timely read. I am with you, I have read a few of her books, but not his one. I should give it a shot. Thanks for sharing this one Dee.